Thanks to everyone who helped me with my choice of fabric for the baby blanket I’m making for a total stranger. I really appreciate all the comments and emails sharing your opinions. 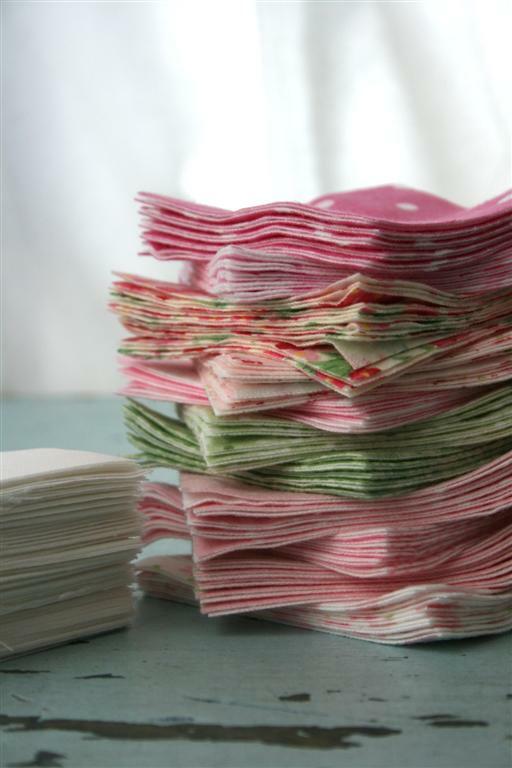 I went with the majority of you and cut into stack #2, the one with lots of pink and green. I’m pretty sure the other two will also become baby blankets at some point. 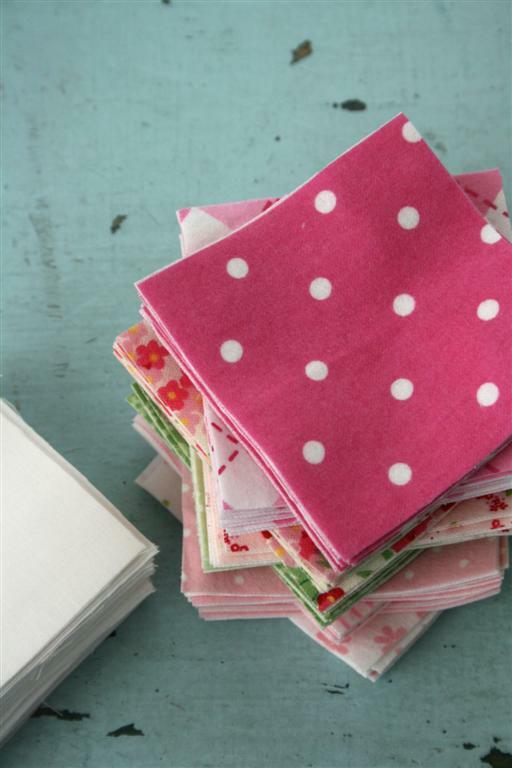 Now I have a tidy little stack of fabric waiting patiently on my sewing table. I’m enjoying the yummy colors and am excited to get started. 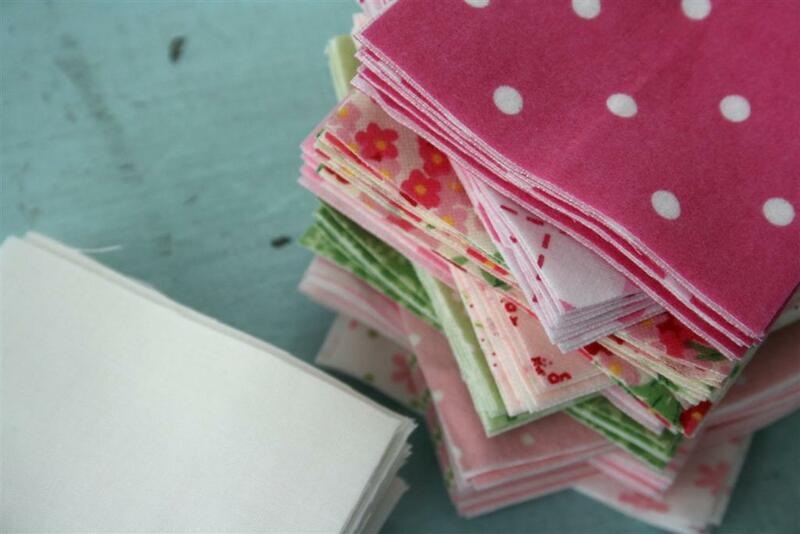 Sometimes I pause to marvel that this tiny stack will become something to wrap around someone. It reminds me that lots of little things do, indeed, add up to great things. Life is like that too.